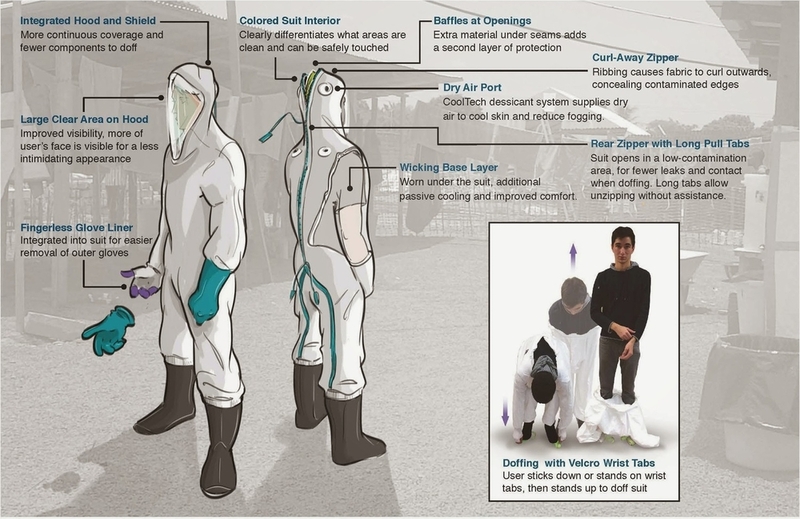 The PPE for healthcare workers (HCWs) was redesigned to allow for faster and more efficient doffing or removal. This team is developing three distinct products. First generation products include a fast-doffing coverall and a hood with increased visibility. The second generation combines the two products into a single suit. HCWs will be able to remove their suits in a fraction of the time needed for existing PPE, significantly reducing the risk of infection. They are also looking to incorporate cooling features to allow for increased time inside the suit and increased comfort. The new features are significant improvements and can quickly be implemented due to close attention to manufacturability, scalability, usability, and cost during the design process.